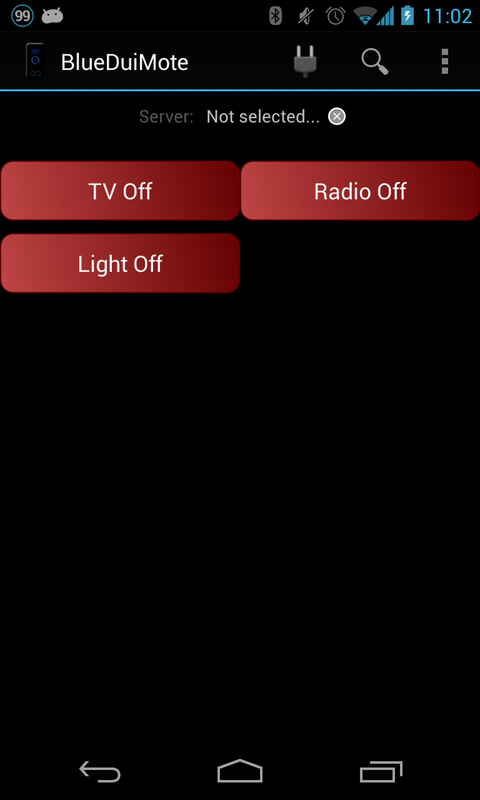 BlueDuiMote is an universal bluetooth remote control to use with arduino, raspberry pi and other bluetooth enabled devices. 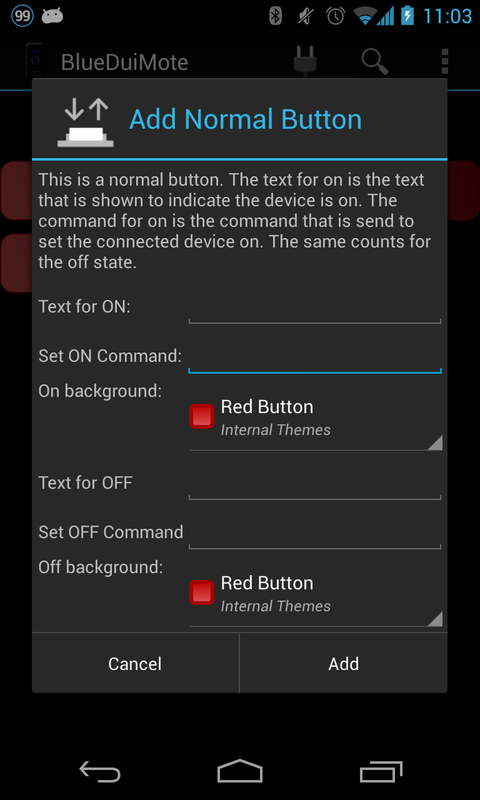 BlueDuiMote Free is a universal Bluetooth remote control on your mobile phone. 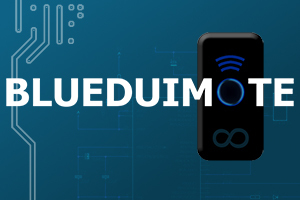 BlueDuiMote is created with the Arduino in mind but can easily be used with other Bluetooth enabled devices such as Raspberry Pi, Soldercore, STM32, Teensy, BeagleBone and a lot more. BlueDuiMote comes with a small but clear help section to learn what you can do with it. We have made the application quite simple so that you probably won't have to use the help section. Our application is stocked with nice features yet still simple enough for everyone to use. 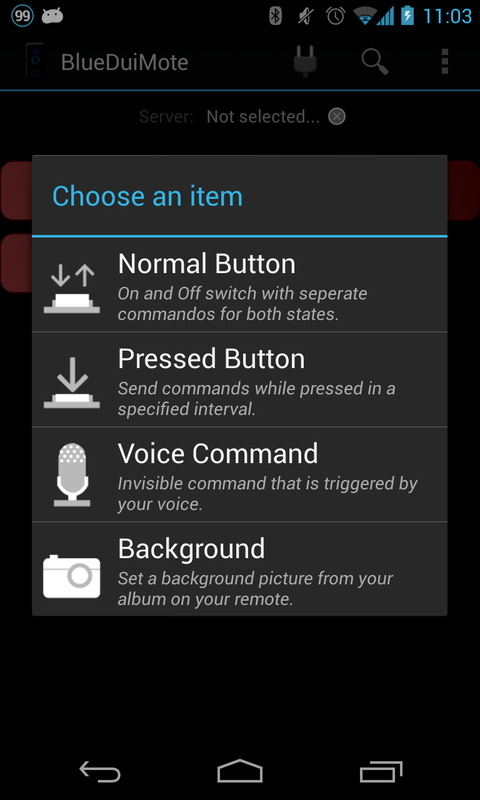 Voice commands are disabled in the free version. This free version also has ads. If you want to upgrade look up our paid version! If you want some other colored buttons or shapes that are not in the app yet, please give a shout and we will gladly, if possible, add them to our next update!